Out shopping the other day I spotted a punnet of delicious looking fresh apricots and immediately remembered seeing a recipe recently for stuffed apricots using ricotta and pistachios. I went into three local supermarkets but none of them stocked ricotta so I decided to try my own version using mascarpone, and almonds instead of pistachios. I also used lemon juice in place of a sweetener. The result was amazing. The wonderful sweet almondy topping on the slightly sweet/sharp fruity apricot was divine. I will probably try the ricotta/pistachio version soon but will most definitely be making this version again in the very near future. 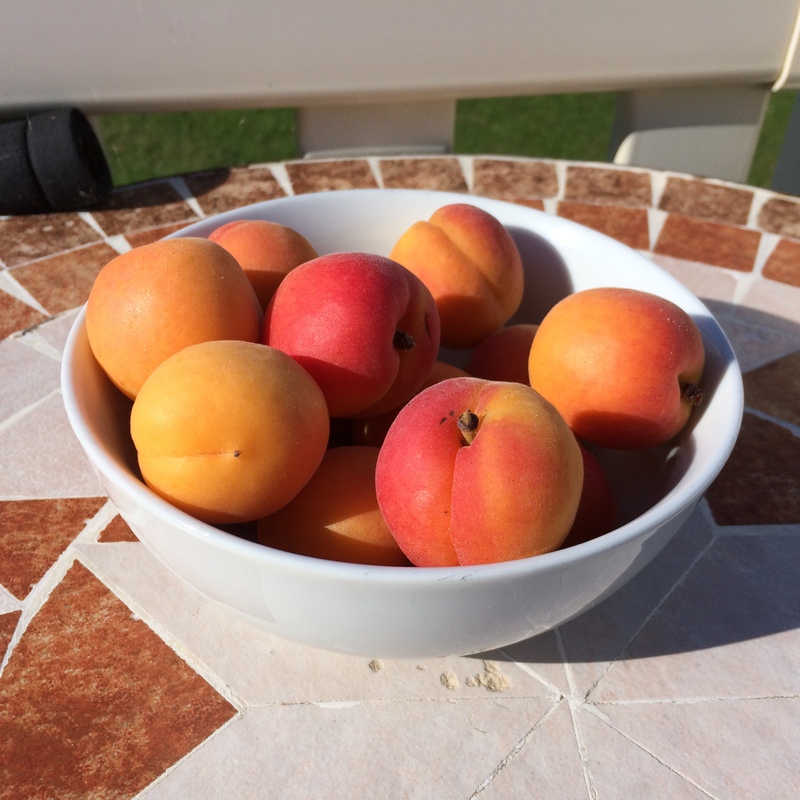 These tasty little apricots would be ideal to hand around at a summer barbecue, used as an appetiser or even a dessert. In a dry fry pan, toast the almonds until lightly browned. Chop three-quarters of the nuts and set aside; keeping the remainder whole for decoration. Slice the apricots in half and remove the pit. Place them face down on a griddle (or under a grill) and grill for 3 to 4 minutes, or until tender and grill marks form. Turn them over and grill on opposite side for 1 to 2 minutes, until soft. Set aside. Combine the mascarpone, lemon juice and chopped nuts. 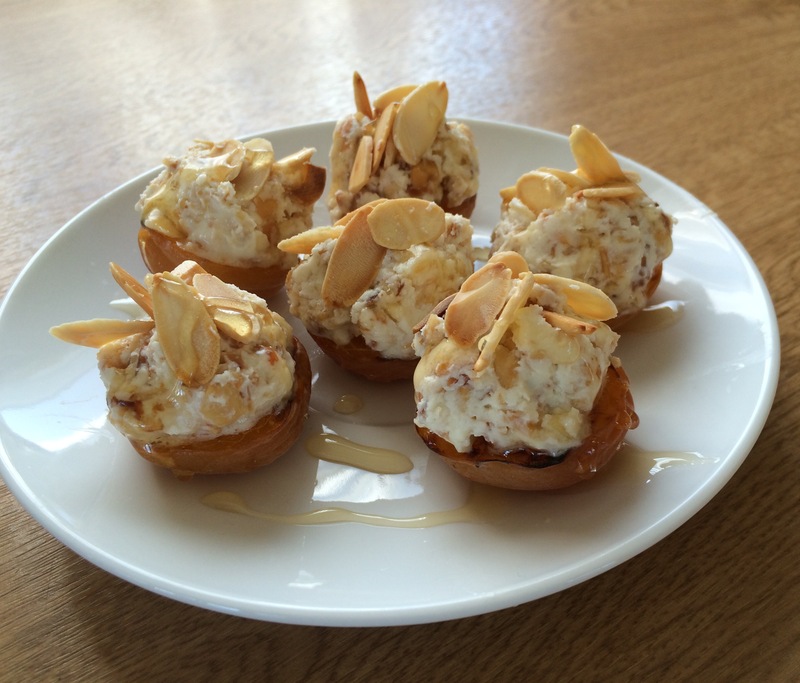 Top each apricot half with the mascarpone mixture and sprinkle with the remaining toasted almonds. Drizzle with honey or syrup. 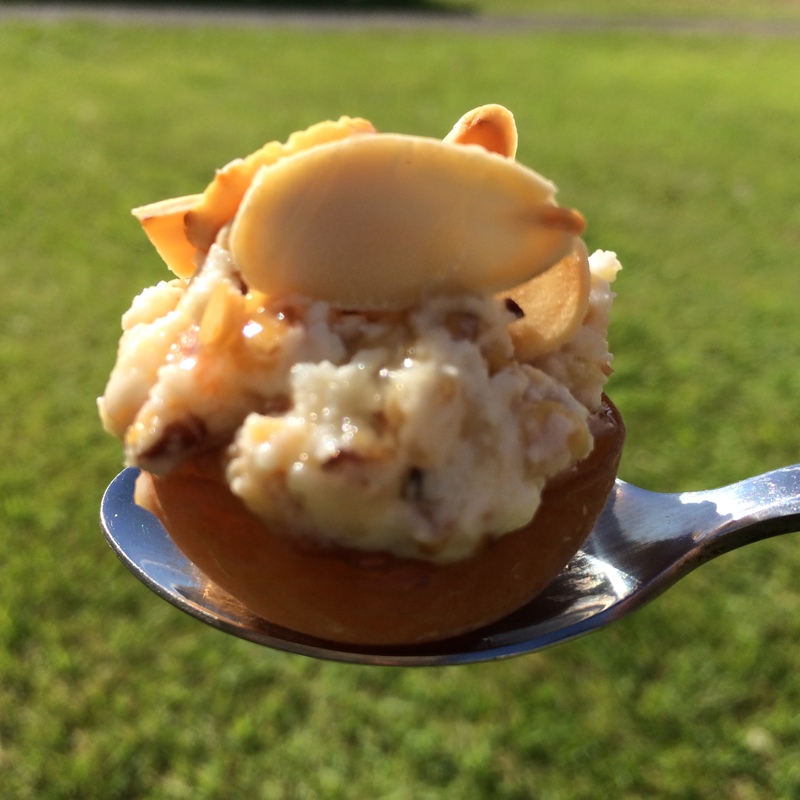 This entry was posted in Miscellany, Sweets and Treats and tagged Almond, apricots, Gluten Free, Healthy Eating, mascarpone. Bookmark the permalink.